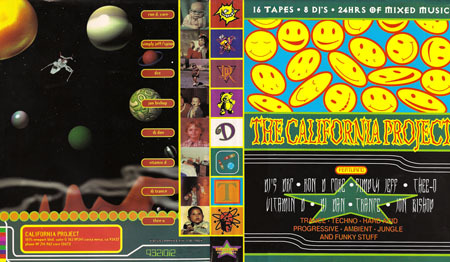 These mixes by DJ Trance are the final tapes from The California Project box set I started posting a year ago. 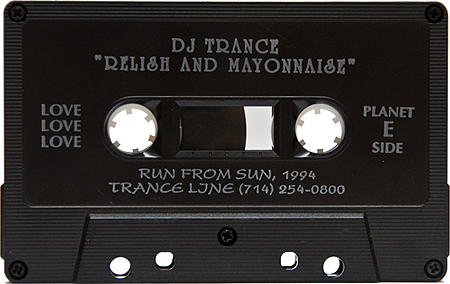 Many thanks to our friends DJ Thee-O and Jason Blakemore for helping us archive this incredible set. Never thought id have this again. this is a treat !¡! 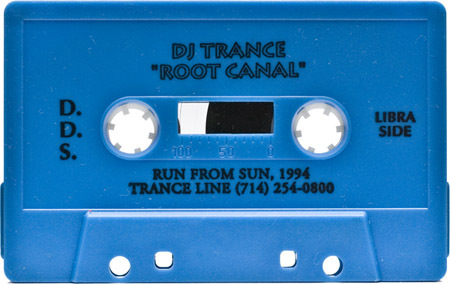 Root Canal, on the Libra side, @ 26:30 is Union Jack – Two Full Moons & Trout (Union Jack Mix). Again @ 37:35, we have Union Jack – Two Full Moons & Trout (Original Mix). 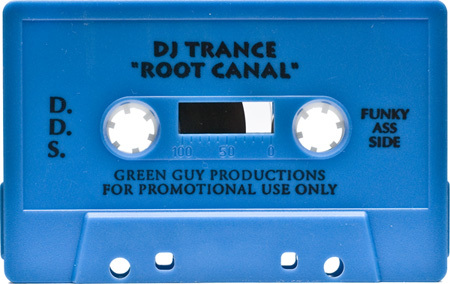 thats awesome.I bohgut a doc martin tape that night.It looks the same but yellow.Been looking for tapes similar to it.Thanks.Also looking for frankie bones tapes circa 91-92 with grim reaper on cover.Has about 40 diff. Botax – I’ve too been looking for those Frankie tapes. it’s been extremely hard, I even paid Frankie 1K for his entire collection as he promised. what i got was a box full of garbage recordings….i lost a lot respect for on that sour deal he jacked on. Im over that whole ordeal! Here is a link for some of his mixes, but the one with the grim reaper is not on here…Im looking for that tape as well.